Koei Tecmo America and Koei Tecmo Europe have finally announced the release date for Atelier Lulua: The Scion of Arland in the West. It will be available in North America on May 21 and in Europe on May 24. 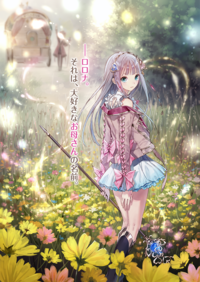 Atelier Lulua is the upcoming fourth title in the Arland sub-series - the first time ever in the Atelier franchise where most of its sub-series are comprised of trilogies. This game takes place years after the third game Atelier Meruru and stars the daughter of the first game's protagonist Rorolina "Rorona" Frixell, Elmerulia "Lulua" Frixell, who is currently studying to become an alchemist just like her mother. You can watch the Western release date trailer, which has been officially published by Koei Tecmo, right below. Atelier Lulua: The Scion of Arland is coming out first in Japan for PlayStation 4 and Nintendo Switch on March 20. The Western releases above will also add a PC Steam version. You can also check out more information on this game where they have recently confirmed the return of Totori and Mimi from the second game Atelier Totori.